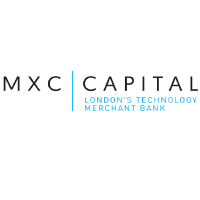 MXC Capital Limited (LON: MXCP), the technology focused adviser and investor, announced today that, further to the announcement of 10 January 2019, pursuant to the terms of the an underwriting agreement it entered into with IDE Group Holdings plc, MXC will subscribe for an additional £3.7 million of secured loan notes in IDE. The terms of the IDE Loan Notes were detailed in the announcement of 10 January 2019. MXC will receive an underwriting fee of £0.21 million from IDE. Following the Further Subscription, MXC will hold £8 million of the £10 million IDE Loan Notes and 43.1 per cent. of the issued share capital of IDE. IDE is a mid-market network, cloud and IT managed services provider. Ian Smith, CEO of MXC, is an Executive Director of IDE and MXC Capital Markets LLP acts as financial adviser to IDE. Further details about IDE (including latest announcements and financial reports) are available at www.idegroup.com. MXC Capital Limited is a specialist technology adviser and investor with a track record of investing in and advising companies in the TMT sector. MXC brings together a deep knowledge of technology, first-hand experience of managing companies in the sector, an ability to make meaningful investments and a highly experienced corporate advisory team in support, all of which combine to grow shareholder value. Click MXC for the full archive. MXC Capital Limited Sells Castleton Shares for £5.5 million.